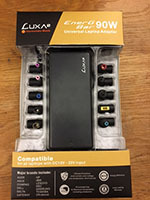 UW-IT and Odegaard Undergraduate Library partner to provide a number of computer accessories (peripherals) for check-out at the 2nd floor Information Desk. This page provides a list of these items, with description. 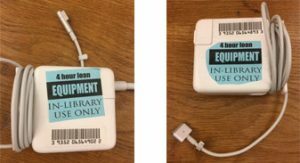 Accessories, also known as peripherals, can be vital to your productivity, and we hope your bring your own, but we have a supply of uncommon and “emergency” accessories at the information desk. You can check out any of these from the Odegaard Information Desk on the second floor, for use only in the library. They are first-come, first-serve, and limited supply, so please understand when there is high demand, we may not have your requested peripheral available. 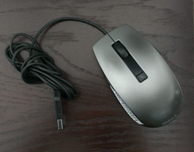 Wired USB Dell laser mouse. 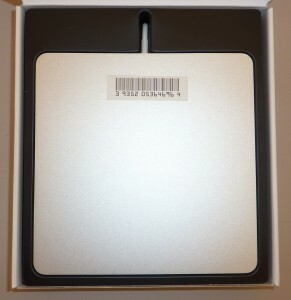 PC or Mac compatible. 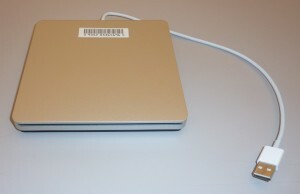 A USB powered optical disk drive for reading and writing CDs or DVDs. 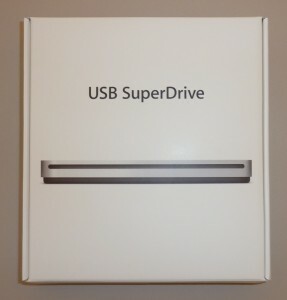 It is only compatible with new MacBook Pros, MacBook Airs, or new iMacs without an optical drive. It is not PC compatible. 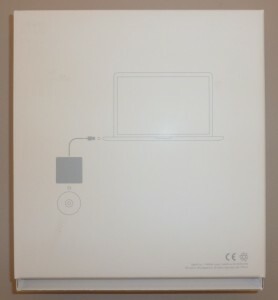 A charger for Mac laptops, identical to the chargers that come with the MacBook Pros checked out via the information desk. 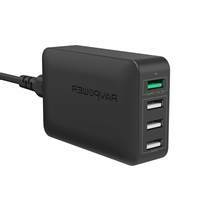 A universal charger with 10 different sized plugs that fit most non-Apple laptops. All 10 plugs must be returned with the charger. 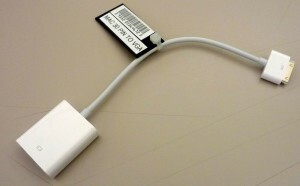 A cord that allows for charging via a 30-pin charging port, used by many electronic devices including previous Apple products. 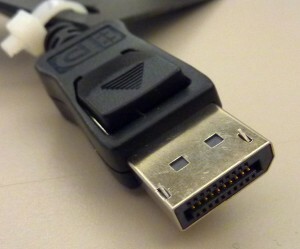 A cord that extends the length of a standard USB charging cord. 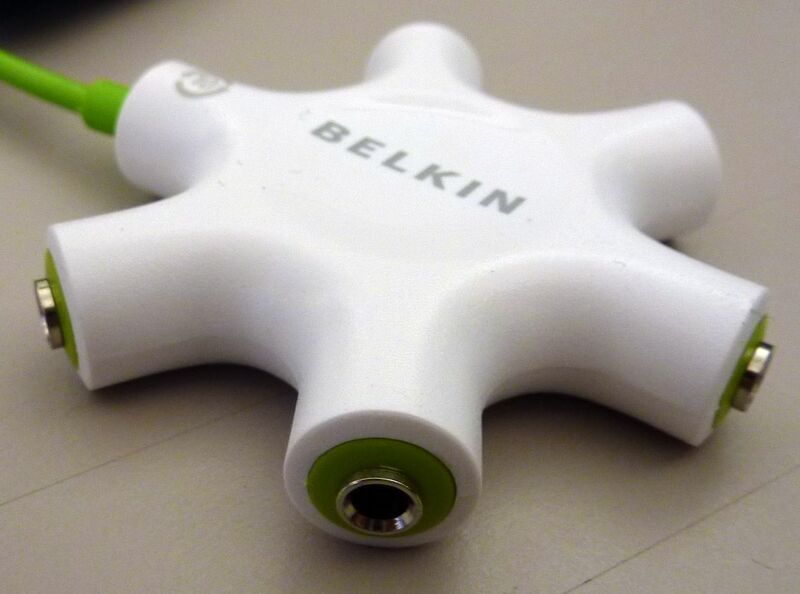 Splits one power outlet into multiple power outlets for more than one device. Adapts the Apple 30-pin port found on iPhone 4S and below and iPad 3rd generation and below to VGA. 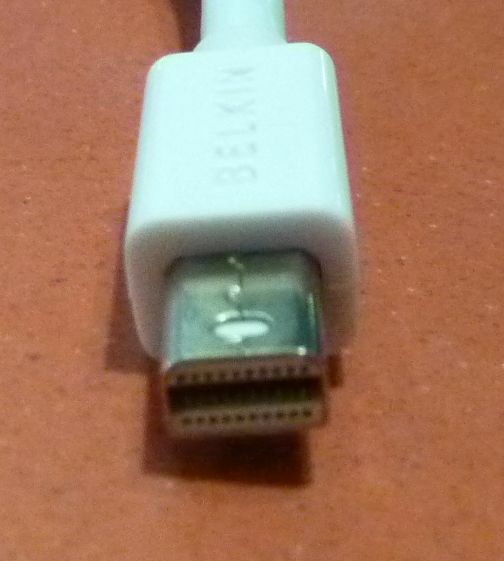 Also requires the use of separate VGA cable to complete setup. 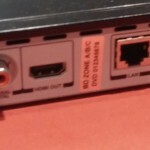 No audio is available through VGA, requires separate cable for audio. Adapts the Apple 30-pin port found on iPhone 4S and below and iPad 3rd generation and below to HDMI. 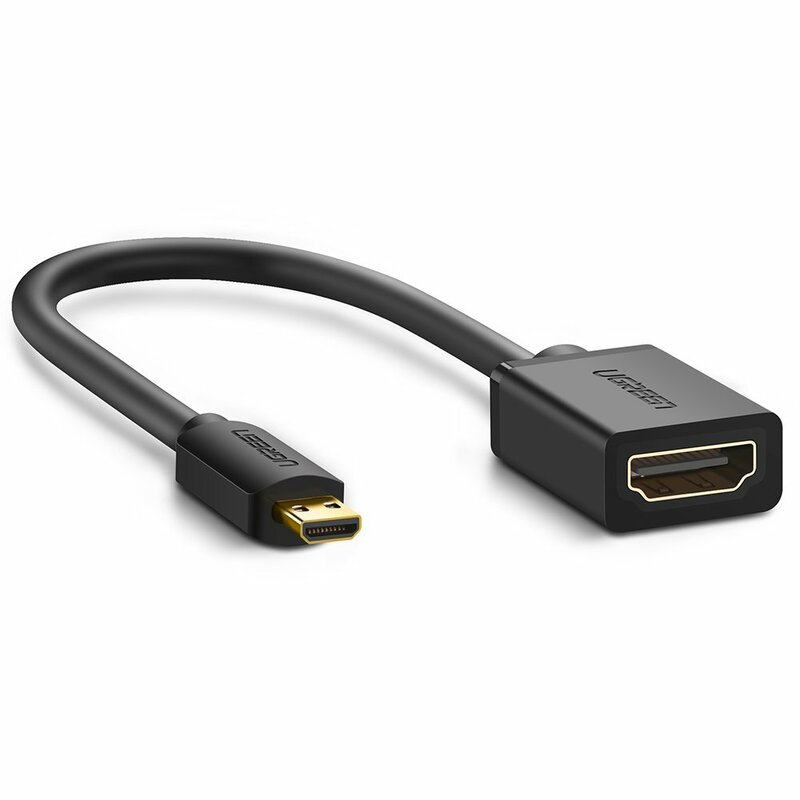 Also requires the use of separate HDMI cable to complete setup. 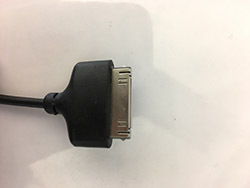 The adapter also provides an extension port to connect a secondary 30-pin cable for charging of the device. 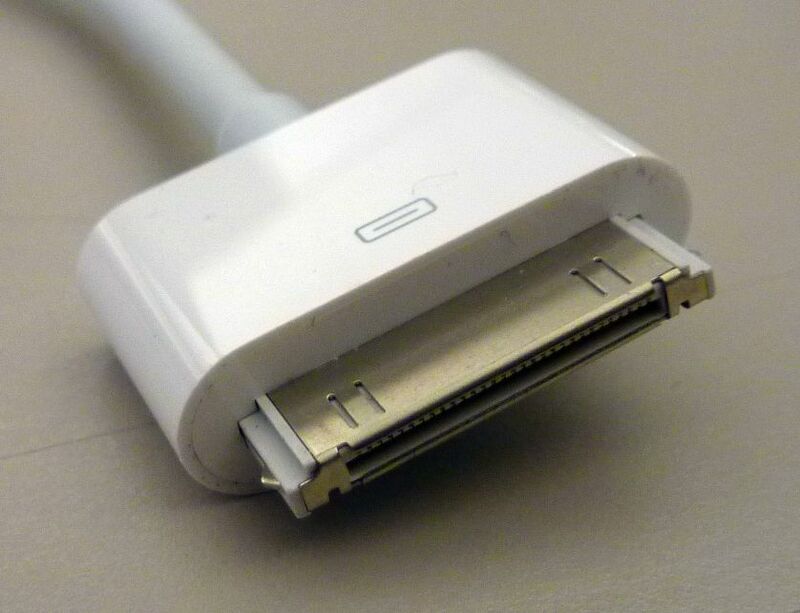 Adapts the Apple Lightning port found on iPhone 5 and above and iPad 4th generation and above to HDMI. Also requires the use of separate HDMI cable to complete setup. 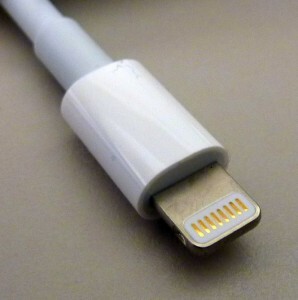 The adapter also provides an extension port to connect a secondary Lightning cable for charging of the device. 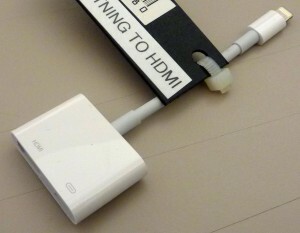 Adapts the Mini DisplayPort on a MacBook or the Media Scape to HDMI. 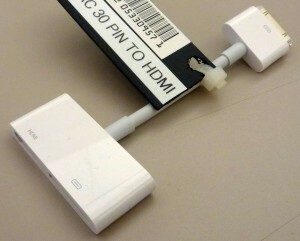 Also requires the use of separate HDMI cable to complete setup. 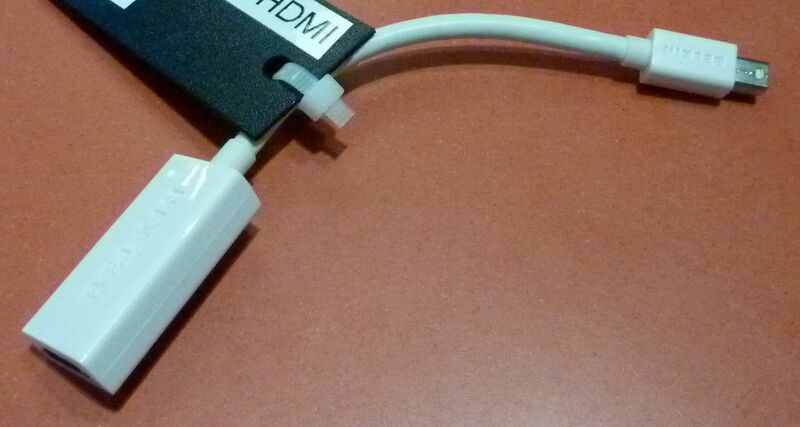 Adapts the Micro-HDMI port out on a phone, tablet or camera to HDMI. 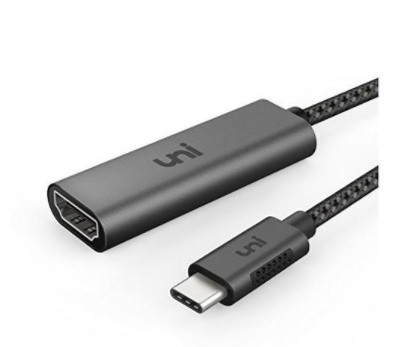 Requires separate HDMI cable to complete setup. 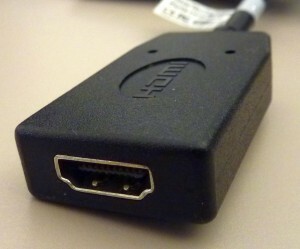 Adapts the Media Scape port to HDMI. Also requires the use of separate HDMI cable to plug into video source. 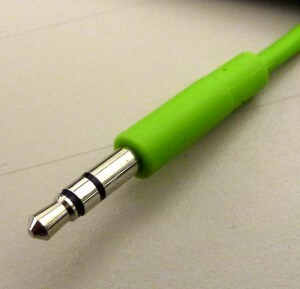 Adapts a standard sized headphone jack to the size used in audio equipment, like guitar amps. 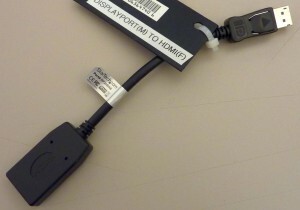 Adapts a USB jack to be used with an HDMI port. 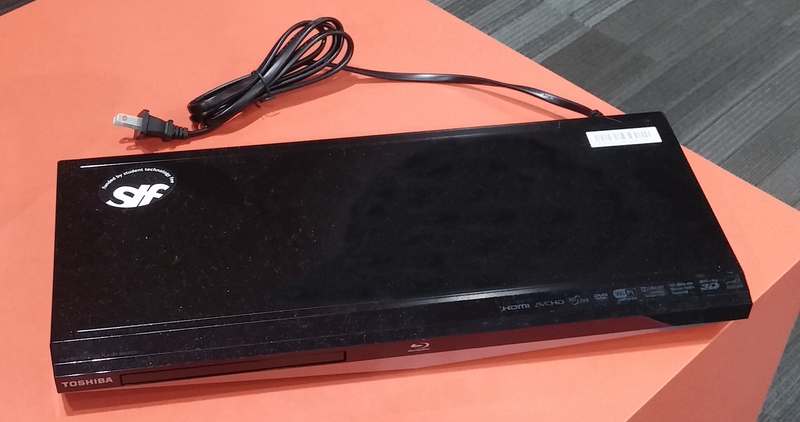 Blu-ray player capable of playing Blu-ray and DVD discs. 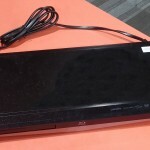 Uses an HDMI port to connect with viewing device. Requires separate HDMI cable to complete setup. 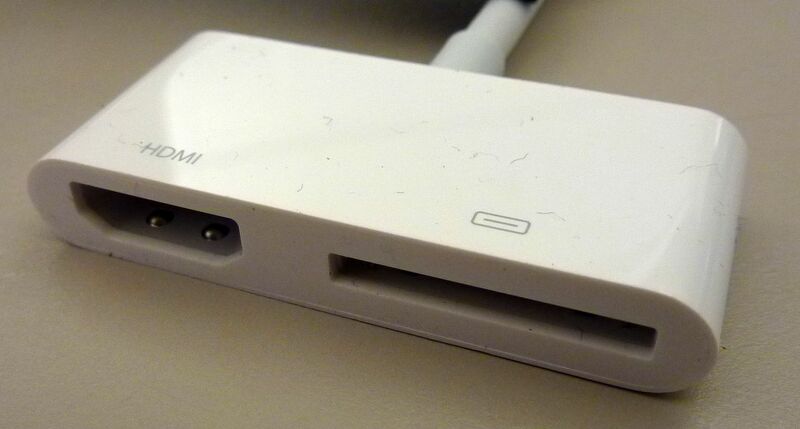 Used for plugging into 3.5mm (1/8″) audio ports on a variety of devices, generally into the headphone jack. Can be used in tandem with VGA and DVI adapters and cables to provide audio from the source. 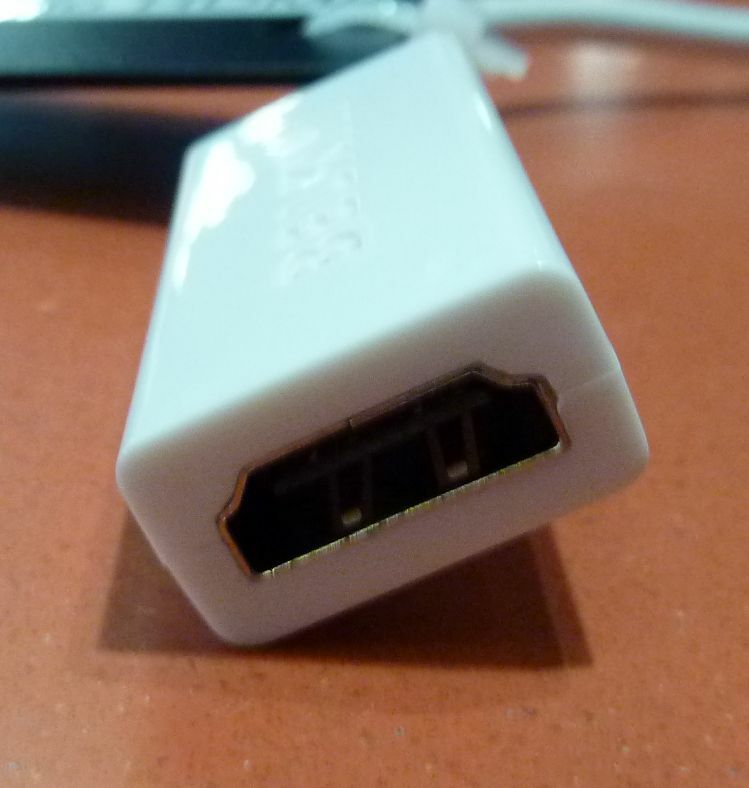 Used for plugging into a hardline Ethernet port for internet access. 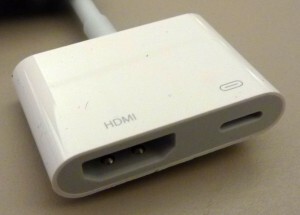 Plugs into HDMI ports for video and audio for computers and other video devices. 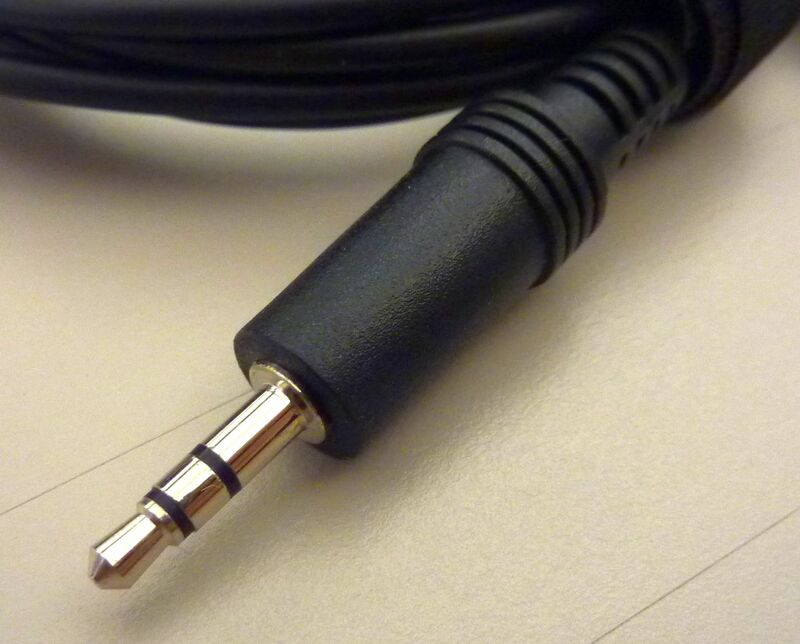 Red, white, and yellow plugs for audio and video on older audio-video equipment, such as TVs and stereo gear. 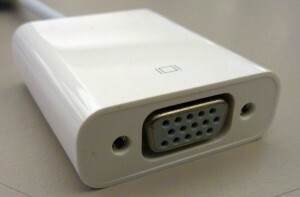 Plugs into VGA ports for video, only for computers and monitors. No audio is available through VGA, requires separate cable for audio. 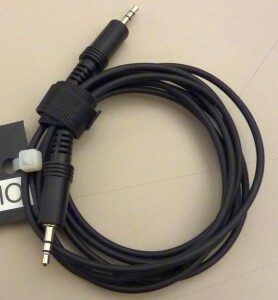 Used for splitting one 3.5mm (1/8″) stereo audio output into five 3.5mm (1/8″) audio inputs. This allows up to five devices to share the source audio from one device.